Andrej Babiš, finance minister, one of the richest Czechs, and owner of an influential media group all in one, denied the horrors of the Roma Holocaust on 1 September. It was 2011 and the northernmost part of the Czech Republic was being shaken by riots. This socially excluded part of the country had been suffering from various problems for a longer time – high unemployment, the deepening frustration of local residents, and for years overlooked problems within the region led to a series of racially-motivated demonstrations. “Gypsies go work” was the slogan chanted in front of Roma hostels by people whose own situation was only marginally better than those towards which they directed their hatred. The trigger for several consecutive demonstrations was a machete attack in a gambling club in Nový Bor and an affray at a disco in the town of Rumburk. One of the cities that became the main site of “antiziganism” that year was Varnsdorf. The formerly rich industrial town, which had been severely hit by the privatization of the 1990s, became, during the peak of the financial crisis, a boiling pot of social hatred. During that summer and autumn, hundreds of local residents gathered under the windows of Roma families, seen as guilty of simply living there. Amongst the crowd chanting hateful slogans, children could recognize their teachers, neighbours, or the staff from the local supermarkets. It was one in a series of “hot” summers. Among other things, it confirmed that the scales of racial hatred had definitely tipped from small extreme-right groups to indignant residents of towns and villages. The Roma in Varnsdorf were of course traumatized by this situation, the team on the side of the anti-racists regularly included psychologists, who provided support to those affected. 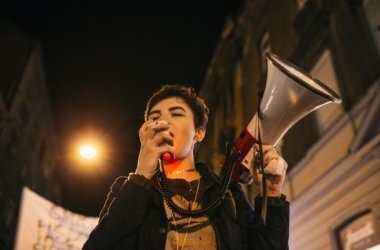 The hate-filled marches differed from occasion to occasion – sometimes they comprised “only” of hateful slogans, at other times the crowd tried to break through the police ranks and into the houses inhabited by the Roma. “Let us have them” was one of the main slogans that rang through the streets back then. More than sixty years after the end of the war, the Czech Republic has not been able to deal with the horrors that the Roma experienced here in a dignified way and honour the victims. The demonstrations took place most often in front of the hostels, the Czech symbol of social exclusion and poverty trafficking in one. Profiting on housing benefits has become common practice, of folkloric status within the business community. The poor can rent rooms in half-derelict buildings for absurdly high prices, which do not in any way correspond to the state of the accommodation. The Ústí region, to which this northern tip of the country belongs, had the highest, 12% rate of unemployment in the Czech Republic in 2010, which became, in combination with the increasing poverty of the region and the continued frustration of its inhabitants, a convenient propeller for the newly articulated hatred. The tensions, which at certain points reached giant proportions, subsided after some time. But racism did not. On 1 September of this year, the Czech Finance Minister and Deputy Prime Minister Andrej Babiš visited the area. The oligarch, who had managed to concentrate an unprecedented amount of power around himself, took a trip to the north of the country to mark the beginning of the school year. According to the server aktualne.cz, he stated in a debate with local ethnic Czechs: “There were times when all Roma worked. What they write in the newspapers, those dimwits, that Lety was a concetration camp, that’s a lie, it was a labour camp. If you didn’t work – woosh, you were there”. The Finance Minister was referring to Lety near Písek, a Second World War camp where many Roma were interned. Already on the same day, his statement provoked a number of outraged reactions. The Prime Minister, Bohuslav Sobotka, called upon Andrej Babiš to apologize publically and to visit Lety. “There is a thin line between populism and fascization. Andrej Babiš has crossed it,” he literally said. What is paradoxical about the whole situation is that it is precisely Babiš who in his current position as Finance Minister is blocking the long-awaited act on social housing, which aims to improve the country’s housing situation. The so-called trafficking of poverty and conditions balancing on the very border of homelessness are one of the main problems of Czech socially excluded areas, including the northernmost tip of the country. The Roma are still viewed as second-class citizens and their desired integration – most often conducted on purely paternalistic terms – has not succeeded since 1989. The Czech Republic still has segregated classes, schools, and of course neighbourhoods, also known as ghettoes. Politicians view the “unadaptable“ (this term has effectively come to be a synonym for the word Roma in the Czech Republic) as easily gained credit. Campaigns for punishing those who are allegedly refusing to work, integrate, accept Czech culture, and stop “freeloading“, are common across the political spectrum. The rhetoric is escalating with the catastrophic conditions in the region, but no one is able to offer a realistic solution. The Deputy Prime Minister picked up on this Czech tradition in the best possible way. It was most likely in an effort to gain support in the struggle of the poor against the even poorer that he uttered his words about the camp in Lety during his conversation with the local majority. The idea that he would have said something similar about the Terezín (Theresienstadt) ghetto or the village of Lidice, completely destroyed by the Nazis, is completely unthinkable. The Roma Holocaust, during which 90% of the Czech Roma population disappeared, remains in the sidelines. The former Nazi camp in Lety near Písek is perhaps the best-known camp on the territory of the former Czechoslovakia. Most likely because even today, more than sixty years after the end of the war, the Czech Republic has not been able to deal with the horrors that the Roma experienced here in a dignified way and honour the victims. Moreover, populist and hateful displays with a hint of Nazi ideology appear again and again – with only a lukewarm reaction from the public. No one protested even when a march of the far-right National Party took place on the site of the former camp in 2006. One of course has to ask whether this is not because we are dealing “only” with Gypsies, i.e. people who are not considered to be part of the Czech nation. And no one, perhaps apart from the Roma themselves and a few enlightened activists, is bothered by the fact that the former camp is now the site of a large-scale pig farm. For many Roma, Lety near Písek is a camp of death where they experienced unspeakable horrors. And the place where the Roma died because of a twisted racist ideology, with the support of Czech gendarmes, is now the site of a pig farm. The camp in Lety causes controversy already when it comes to its description and defining how it actually worked. Many, especially politicians, have stated that the site was a labour rather than concentration camp. This trivializing statement was supported also by former president Václav Klaus, and later other politicians as well, who claimed that Lety was basically a camp for those who refused to work and that the Roma interned there died because of a typhus epidemic, and not as victims of Nazism. But everyone has overlooked the historical facts, which speak clearly about the deliberate concentration of the Roma based on their ethnic origin and their subsequent controlled liquidation. The Lety camp was a labour camp at the beginning of its operation, between 8 August 1940 and 1 January 1942. Prisoners currently serving sentences were sent to the camp in order to learn to work before being released. In 1941, when 537 prisoners were sent to the camp, only 45 were of Roma origin. The turning point came in the summer of 1942, when a decree on eliminating the so-called “Gypsy nuisance” was published, on the basis of which the police and gendarmerie began to collect lists of all “Gypsies, Gypsy half-breeds and persons living in a Gypsy fashion”. This decision changed the life and very existence of the Czech Roma. The Roma were accompanied to the camp by gendarmes, some came with their whole families on horse-drawn carts. The influx of new inmates was so large that by August 1942, there were 1145 persons in the camp. The catastrophic sanitary conditions and the already poor state of health of many of the Roma caused an outbreak of typhoid, and later also epidemic typhus. The leading Czech medical doctor František Patočka (brother of the philosopher Jan Patočka) visited the camp during the epidemic. “I remember that only the moving and healthy children crawled to the edge of the shared bed and took hold of parts of the astoundingly prepared meal. The weak and ill children practically could not reach the food. During this alimentation of the Gypsy children, which rather resembled a poorly-executed feeding in a zoological garden, I noticed that most children were dressed in threadbare shirts and some were completely naked. The only cover for this great herd of children was a large tarpaulin, which however was not sufficient for all, causing them to fight over it. Not only with their hands, but also their teeth. To ascertain the true state of the children under the tarpaulin, I uncovered it in its entirety. The first thing I noticed with horror was a number of children’s corpses, which were lying amongst the children. And the second, all the more horrific sight, was of children obviously in agony, some in high fevers with terrible gangrenes affecting entire lower limbs, black all the way to the thigh muscle. I remember clearly to this day that an image opened up before me which in its horror surpassed Dante’s descriptions of Inferno”. The camp in Lety is however also notorious for the brutality and inhuman behavior of the Czech gendarmes working there under the command of Josef Janovský. Physical and psychological abuse was part of the daily routine. One of the survivors, at the time a girl of ten, recalls: “I was supposed to watch over some boys and they ran away, as punishment I got twenty-five blows on my behind and back – with a truncheon, in front of my mum, in front of everyone, the Czech gendarme beat me. Then they put me in a Gypsy wagon, where there were those corpses, they put me to lie there, three days without food. I screamed, cried, mommy, mommy, there are corpses here, I’m scared, I was a child”. None of the children born in the camp survived. After four months of the functioning of the Roma camp, 93 inmates with the label ASO, i.e. “asocial”, were sent to a coercive labour point in Prague, from where they were to be sent on for forced labour. In reality, they were taken to Auschwitz, where death awaited them. Even the deliberately provoked epidemic, which meant that for lack of space at the local cemetery, the dead were buried in the forest, was not an obstacle for transporting more Roma to the death camp. A total of 420 Roma from Lety were taken to the extermination camp in Auschwitz-Birkenau. For many Roma, Lety near Písek is a camp of death where they experienced unspeakable horrors. And the place where the Roma died because of a twisted racist ideology, with the support of Czech gendarmes, is now the site of a pig farm. The pigs, designated for slaughter, are cramped in smelly buildings. Everyone is aware that this striking parallel and highly shameful fact illustrates the relationship of the Czech state not only towards the victims, but also towards the Roma currently living in the Czech Republic. The place where hundreds of Roma suffered is now a memorial to Czech antiziganizm. The Deputy Prime Minister attempted to apologize for his words on the evening of the very same day he uttered them. The attempts to smooth everything over however only multiplied the embarrassment of the event. 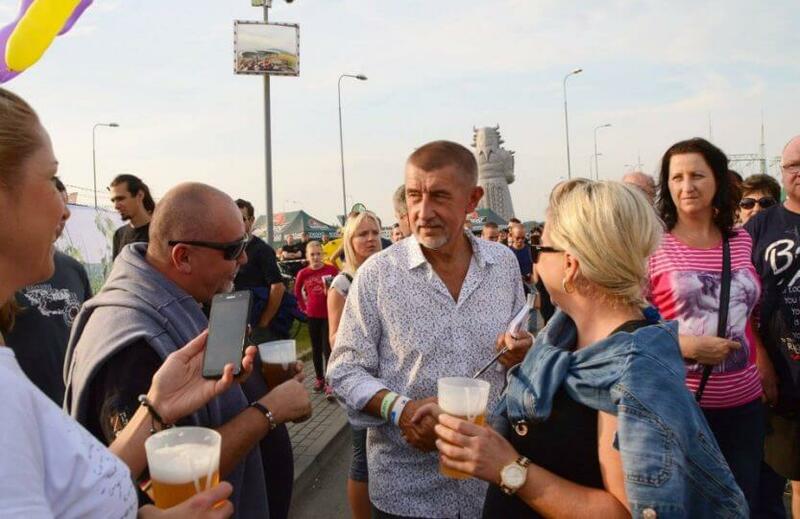 The last statements of Andrej Babiš thus rather indicate that he will try to secure funds to remove the pig farm and build a dignified place honouring the memory of the Roma victims. If the pig farm really were to be demolished, it would be a great news. But lurking in the background would forever be the fact that Czech society only arrived at respect for the victims of Nazi ideology through the irony of fate, specifically through the unabashedly racist statement of the Deputy Prime Minister. Renata Berkyová is a Roma studies scholar and journalist. Apolena Rychlíková is an editor of A2larm.cz and a documentary filmmaker. Renata Berkyová is a Roma studies scholar and journalist. Apolena Rychlíková is an editor of A2larm.cz and a documentary filmmaker.